You are here: Home / News & Views / Blog / Are Teeth or Jaws the Problem When Teeth are Crowded? A common problem we see every day at Papandreas Orthodontics is crowding of teeth. This problem is often accompanied by protruding or “buck teeth”. Crowding can give the appearance the teeth are oversized or too big for the size of the jaws. However, this is not always correct. Often, it is not a tooth problem, but because the size of the jaws is too small or narrow to accommodate the teeth. 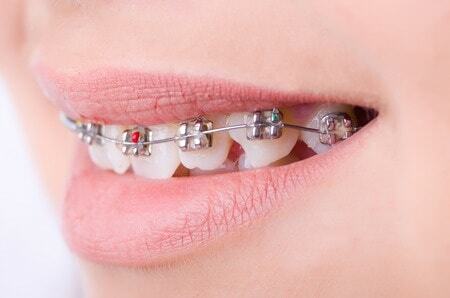 Throughout the years, orthodontists have approached this issue in different ways. In the 50’s, 60’s, and 70’s, the most common practice was to remove permanent teeth to make room. Dr. Samuel Papandreas recognizes that tooth extractions may not be necessary with many crowded jaw situations. The removal of permanent teeth may result in a lack of lip support or reduction of a patient’s profile. While the reduced profile may be acceptable in younger years, the reduction becomes more pronounced with the aging process and less flattering as they grow older. For this reason, correct treatment diagnosis when considering tooth removals is critical to the outcome of a good long term result. For more information contact our office for a complimentary orthodontic consultation. Dr. Papandreas and the Papandreas Orthodontics Team will be happy to help you determine if your child would benefit from this type of orthodontic treatment. https://drpapandreas.com/wp-content/uploads/2015/09/31502576_s.jpg 298 450 Dr. Sam https://drpapandreas.com/wp-content/uploads/2016/04/logo-dr-papandreas.png Dr. Sam2016-05-06 10:05:312016-05-02 08:36:58Are Teeth or Jaws the Problem When Teeth are Crowded?